Making every team feel like the home team. The Rocky Top Sports World staff is ready to serve your every need. Our professional tournament and events team works closely with the Gatlinburg Convention and Visitors Bureau, local hoteliers, cabin rentals, and other businesses to ensure that every aspect of your event is handled with the level of service for which Gatlinburg is known. Check out the link below for facility information, our team waiver, and special offers from our sponsors! CALL OR TEXT 270-776-5493 TO REGISTER! Shoe Wars Presented by: Delta Report Scouting Services Dates: May 11-12, 2019 Age Groups: Boys and Girls 10U - 16U Registration Fee: $350 - $450 Guarantee: 4-game guarantee REGISTER HERE! Book Hotels! All event related questions should be directed to Leslie Toole at info@deltareport.club or call 601-529-1160. This late season college showcase is a great way to get your team(s) some exposure to college coaches as you wrap up your season for the year. We are inviting several top clubs to bring their teams u14-u19 boys and girls. Individual teams are also welcomed to apply. This is a Showcase format were everyone plays 3 games with no final. We are only looking for about 60 teams so this will assure every player has a chance to be seen by college coaches. Rocky Top Challenge Presented by: Hoopz Showcase DATES: June 7-9, 2019 ABOUT THE TOURNAMENT: Come and join us for our 4th Annual event @ Rocky Top Sports World in the Great Smoky Mountains. Come and join us for our 4th Annual event @ Rocky Top Sports World in the Great Smoky Mountains. Teams from the Southeast and the Midwest will compete for the crown of King or Queen of Rocky Top. Summer Fest will be one of the premier high school summer showcases. This event allows high school coaches to be directly involved with the recruiting aspect of their players. 7 games over a three day period. Teams can select the One Day option, Two Day option or Three Day Option. On day three there will be a tournament to declare the Summer Fest Champion. The champion in the Boys Division and the Girls Division will receive a trophy and their entry fee returned to them. Note: to be eligible for the Returned Entry Fee you must play the last two days of the event; June 11-12. Summer Fest is open to boys and girls. Maryville College and rocky top sports world are pleased to offer a 1 day skills camp at the beautiful Rocky Top Sports World facility in Gatlinburg Tennessee. This camp will concentrate on teaching the correct fundamentals of the game. During camp each player will be exposed to the fundamental skills and repetitions required to play at the next level. This camp will be a position specific and you will be evaluated and coached at the position of your choice. Additionally each player will have the opportunity to interact and be coached by the Maryville College staff along with other College coaches that will be in attendance. We look forward to seeing and working with you on June 22. GO SCOTS!! USA SOUTH CONFERENCE CHAMPIONS 2012…2013…2016…2018! *Lunch is NOT included. Please come prepared with a packed lunch OR athletes can purchase lunch from our full-service kitchen. We’re excited to announce that we have secured a gym in Gatlinburg, Tennessee and have arranged for Don Kelbick to conduct a 3 day basketball camp teaching players and coaches the same skills and strategies that he uses with pro players like Joe Johnson, Raja Bell, Bruce Bowen, Carlos Arroyo, and dozens of other NBA and European players. This is an incredible opportunity for both players and coaches to spend 3 days with Don Kelbick learning the same strategies that the pros use. This camp is for serious players – both boys and girls. This camp uses the Attack & Counter Skill Development System to help you develop the KEY skills that you need to become a great basketball player. You will learn the same critical and universal skills that Don teaches to NBA players. These fundamental skills are universal for all levels. They will help you no matter what defense or offense you use. That’s the great thing about fundamentals. They help you in all situations. You will learn how to improve your footwork. This is probably the most under-practiced, misunderstood, and most important skill of all. You will learn how to practice footwork in a completely new (and simpler) way. You’ll also learn how footwork carries over into games and how it makes you better. During the camp, players will learn Don’s Attack and Counter Strategy. As the name implies, this system encourages an aggressive mentality. Players will learn important mental aspects of the game including aggressiveness, building confidence, reducing the fear of failure, shooting mentality, work ethic, how to be mentally tough, more focused, and get an edge on the competition. Learn the proper footwork, mentality, and strategies to score in the post and various situations near the basket. This applies to both guard and post players. There is a heavy emphasis on footwork and you’ll learn how to become a more dominate scorer inside. Learn how to apply Attack and Counter Fundamentals when you catch the ball on the perimeter. You will learn how to improve your perimeter moves, footwork, and become very difficult to guard — allowing you to easily beat your defender from triple threat, score more points, and become a more valuable player. You will learn how the Attack and Counter Fundamentals allow you to easily beat defenders off the dribble, create space for your shot, and score off the dribble. This allows you to create space, make good decisions, and get your shot off when you want. 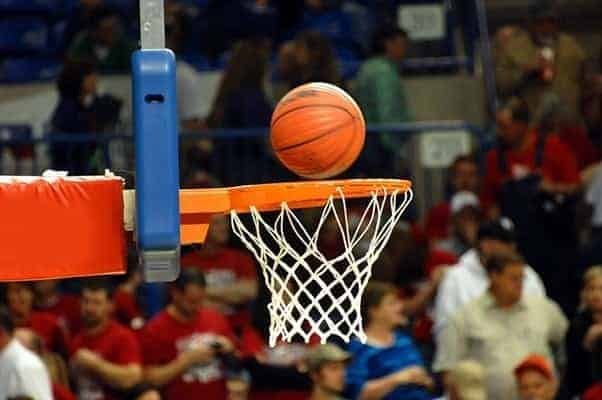 Learn how to improve your ball-handling skills — this includes dribbling, passing, decision making, and reducing turnovers. Learn proper footwork in fast break situations and improve your ability to score in transition. You’ll improve footwork, mentality, and ability to score on the run. Learn how to improve your footwork and mentality to increase your shooting percentage. Through high rep shooting drills, Don will teach you how to be more consistent and effective with your feet, how to be more confident, how to be mentally tough, and how to become a better shooter. Learn how to move without the ball and get open so you can score more points. Don will teach you proper footwork and concepts when using screens and cutting. No matter what team you play for, learning how to read screens and move without the ball will help you get more easy scoring opportunities. This is an important skill for all players to learn. Don will teach you how to move without the ball, get open for easy shots, and score on the move. As you can see, this clinic focuses heavily on footwork and mentality, which we believe are the two most important aspects to becoming a better player. We promise that players and coaches will learn dozens of new tips and techniques that will make them better. Don’s methods are very simple, yet unique. You just won’t get this stuff in other places. It’s all about helping you develop the KEY skills that you need to become a great basketball player. Show – During the camp Don Kelbick (NBA development coach) will show you the key drills and the skills you need to work on. He will explain and demonstrate the key details of each specific skill to the entire group. He will teach you the skills, strategies, and concepts. He’ll show the “little things” that are important. Go – Then you’ll break off into groups to work with designated coaches in your area. There will be other coaches helping you with break down drills. Don will also walk around working with players and coaches at this time. You will work hard at practicing the new skill and learning how to incorporate the skill into games. This will be repeated throughout most of the camp as we introduce new skills and concepts. We will run lots of drills and players will get lots of repetitions. You’ll get LOTS of touches with the ball and it will be fast paced. After skills are practiced, we will also put players in competitive break down drills. This allows players to apply and refine their newly-learned skills. Most of the competitive break downs are lots of fun, but they are different (and we believe more effective) than the standard 5-on-5 games that you see at other camps. You will learn the same things as the players. As an “observing coach” you can view the entire camp and take notes. You’ll pick up lots of new drills, fundamentals, and strategies that will give you an edge over the competition. We guarantee you will learn lots of new things from Don Kelbick. How is This Camp Different Than Other Camps? You get to work with an NBA development coach. How many players get to do that?!! 99% of the camp is focused on skill development and competitive situations. Many of the camps these days play a lot of 5-on-5 games and do little skill development. Sure that can be fun and you need to get game experience… BUT do you really think most of your improvement happens during games? Of course not. 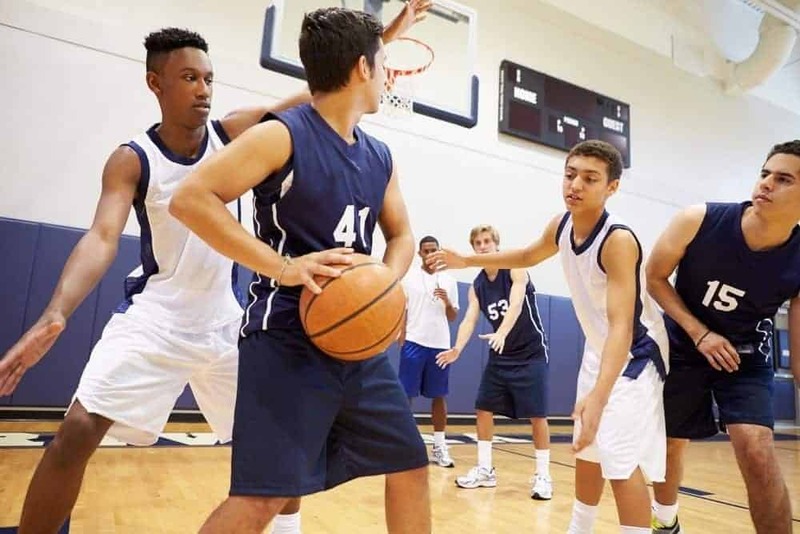 You still need to play in game-like situations to apply your newly-learned skills, but most of the off-season should be spent on skill development. Great players became great by practicing skills. We want you to get better so we focus on skills and put you in competitive situations. Most of the competitive break downs are lots of fun, but it’s different than the standard 5-on-5 games that you see at other camps. You will learn how to practice on your own! Don is a firm believer that it’s important to teach you how to practice on your own. He believes that “knowledge is power”. He strives to teach drills that you can use at home or in the gym on your own. You will learn about new and unique drills, concepts, and skills that you probably won’t see anywhere else. Don has a unique, out-of-the-box method to teaching basketball skills. Not to mention he understands a lot of critical concepts that few coaches, players, and parents understand. He will teach you something new, guaranteed. You learn about footwork and mentality which is rarely taught or understood by players and coaches. You will learn a very unique and simple way to apply the same footwork to post moves, perimeter moves, dribbling moves, getting open, using screens, playing defense, and more. The camp is for male and female high school players, and mature 7th & 8th graders. No exceptions are made for younger players. This is for SERIOUS basketball players that want to get better. You can play games anywhere, so we focus on things you can’t just pick up anywhere. We focus on developing skills that will make you better! Coaches that want to learn and pick up new drills can also observe (coaches can find more info below). Over 35 years of basketball coaching experience at the high school, division I college, and professional levels. Has provided individual training for more than 14 different NBA players, 50 European and professional players, and hundreds of college basketball players. Developed dozens of basketball DVDs and books. Has scouted for NBA teams and served as a general manager in the USBL. Traveled to over 20 different countries training players and teaching basketball. Conducted over 1000 basketball clinics and camps training players of all age levels. Don Kelbick is a long time contributor to Breakthrough Basketball developing dozens of articles, products, and providing ongoing consultation for the site. He also runs the Attack and Counter Skill Development Camps which are offered nationwide. Don currently lives in Miami Florida training players and running the Drillz N Skillz Basketball Academy He has worked with a variety of great players including Raja Bell, Carlos Arroyo, Rasual Butler, and many other college and NBA players. FAMILY DISCOUNT: When you pre-register 2 or more family members or teammates on the same invoice, you automatically receive an additional $5 discount per division. TEAM DISCOUNT: Bring a team of 10 or more guys. Each competitor pays only: $45 for 1 division or $65 for 2 divisions. To take advantage of this ALL competitors from your team MUST pre-register online; but DON’T PAY online. Leave the credit card info area BLANK, before clicking the ‘submit registration‘ button. You will pay your discounted team price at the door when you arrive to weigh-in. CASH ONLY. COLLEGE STUDENT DISCOUNT: Any college student who registers on-site with a current college id-card will pay only $45 for 1 division; or $65 for 2 divisions. This offer is only valid for on-site registration only. A current college id-card is required. When registering for any tournament being held by NETS, please use the following code MM50-32 and you will receive $50 off the registration fee. A list of all tournaments can be found at www.netsregister.com. Don’t wait to claim your spot as this discount will expire on April 8th. If you have any questions, please feel free to contact Eric Burger at 513.535.6499 or ericburger@cinci.rr.com. Rumble in the Smokies is an Elite Level Showcase for teams seeking additional exposure to scouts and recruiters. Since Gatlinburg is a resort/tourist location, this is also a chance to add a team bonding trip to your schedule. Teams may select to stay in hotels or cabins. This event is planned to be one of the NCAA certification events for July. 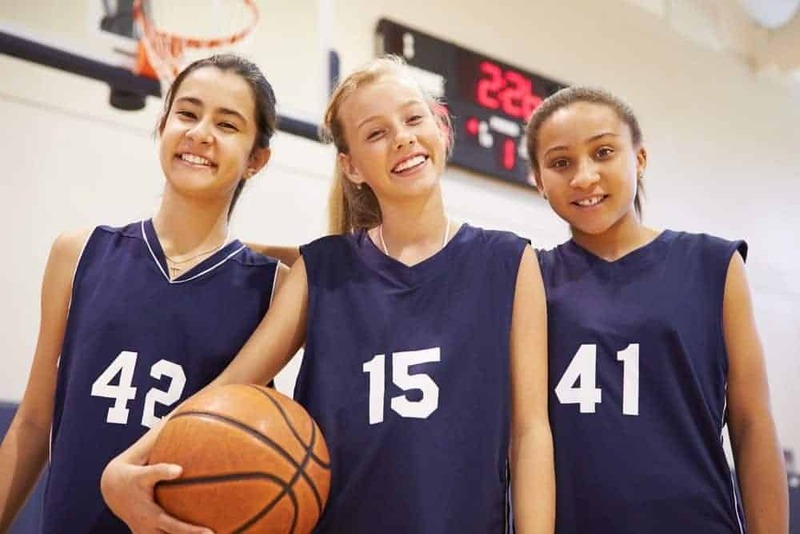 Rumble in the Smokies is a showcase event for girls in grades 8 thru 12. This two day event allows team to get in 4 games using a stop clock format. An athlete must be in the 5th grade as of October 1, 2018 and can be no older than 12 on or before August 31, 2019. For an athlete that is in the 6th grade as of October 1, 2018 wanting to play down, they can be no older than 11 on or before August 31, 2019. 1. Copy of each athlete’s Proof of Grade. 2. Copy of each athlete’s Proof of Age. all be completed on Tournament Connect. REGISTER AND PAY BEFORE MAY 1, 2019 FOR JUST $600.00. $12.00 Adults/$10.00 Youth (ages 6-14), 5 and under free. A length of event pass will also be available for $40.00 per adult, $30.00 per youth (ages 6-14). Prices subject to change. Basketball action returns to Rocky Top Sports World with the 4th Annual Hoopz Summer Championships. Teams will compete in pool play before moving onto bracket competition. Teams will be competing in the 2nd grade – 12th grade divisions. *All Division Winners From This Tournament Will Receive Free Entry Into our 2020 Championship Tournament. This is an exciting new venture with top coaches running individual and team training in a pre-season camp designed to create explosive growth for you and your players. The Camp will be ran by 6 time State Champion Chris Hames from Webb School of Knoxville and Brent Carter, 4 time state finalist from Knoxville Catholic High School. The format of the camp and all details are below. -Lunch 11:30-1:00-Provided Free for coaches. Players have many healthy options at the facility at a fair price. No outside food or drinks allowed. Camp cost is $65 per player and includes a camp t-shirt for every player. This Camp is limited to 24 total teams comprised of Varsity, JV and Middle School. Camp slots are on a first come first served basis. Reserve your spot by emailing brentwcarter7189@gmail.com with the teams you plan to bring to the camp. Essential Youth Skills & Decision Making Basketball Camp Presented by: Breakthough Basketball We're excited to provide this 3 day youth and middle school camp in Gatlinburg, Tennessee that focuses on developing the complete player. We’re excited to provide this 3 day youth and middle school camp in Gatlinburg, Tennessee that focuses on developing the complete player. You will develop shooting, ball handling, passing, footwork, defense, rebounding, athleticism, and other essential skills to become a great a basketball player. 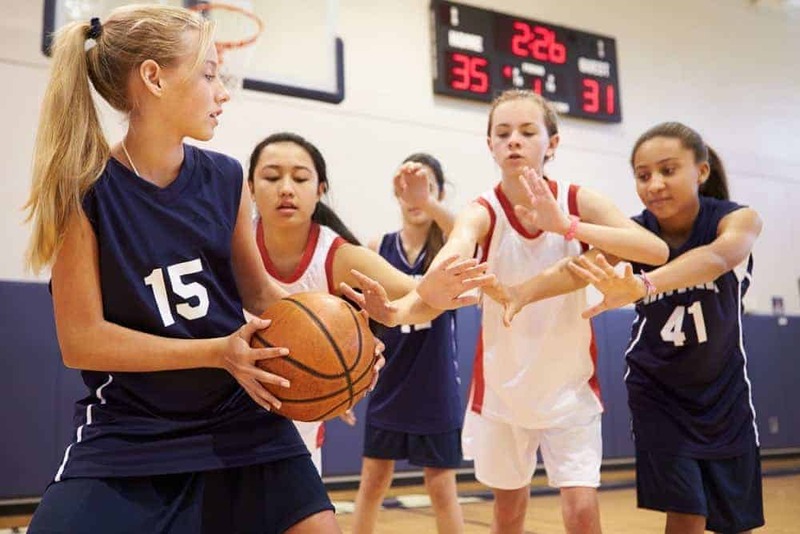 You will learn the essential skills to becoming a great ball handler… no fluff. Basically, we will teach you all of the critical skills and concepts that coaches love and help players excel. individual and team training in a pre-season camp designed to create explosive growth for you and your players. 10aug8:00 am5:00 pm2019 Attack at the Rock! Join us at our world-class facility for the 3rd Annual Attack at the Rock high school volleyball play day! Only $80 gets your varsity team 4 matches and GREAT pre-season practice! We have added MIDDLE SCHOOL teams to the schedule this year! Please fill out your team’s online registration via the link below. Once we receive your info, you will be billed via electronic invoice. The High School Cup- Spring will be awarded to the highest ranked team in the Topdrawersoccer.com Fab 50 that competed in the Smoky Mountain Cup or Southern Coast Cup. The High School Cup – Fall will be given to the highest ranked team that competed in the Smoky Mountain Cup, Thoroughbred Cup or Hall of Fame Cup. The Cup will be displayed in the champion’s school until the next Spring or Fall Champion is crowned. This is a great end of the year tournament to get your team ready to participate for next season and try out new players for your 2020 teams. Also a great family getaway where you will find something to entertain everyone young and old while you are not playing basketball!! A discount will be offered if you participated in any of the events listed above. A great fun tournament last year that will be even better this year!! More info available later…. 31augAll Day01sepPaddle Battle in the Smokies! This tournament is both a typical “stand alone” tournament as well as a qualifying event for acceptance into the 2020 Arnold Sports Festival “Pickleball Championships” on March 3, 2020 in Columbus, Ohio for those interested. You may play in the tournament whether or not you are interested in participating in the Arnold Pickleball Championships. **If any events are cancelled in earlier sessions, we may move some events to earlier sessions. Please be prepared for that. Please watch this website for updates. Tournament Director will also email affected players of any events that are rescheduled. Please provide your email in your registration to facilitate communication. – ONLY PAYMENT RESERVES YOUR SPOT. PLAYERS WHO PAY FIRST GET THE SPOTS!! Gerry Bennett – Contact for all general tournament related questions. 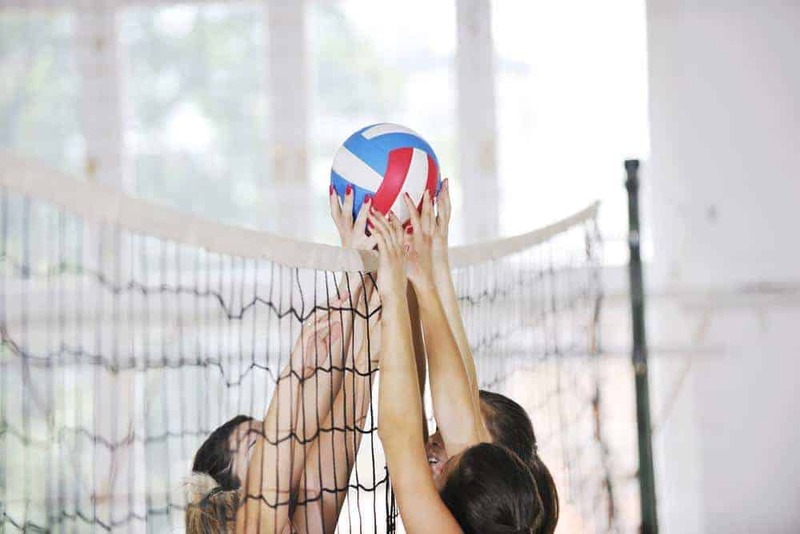 Jacqueline Boggs – Contact with all tournament registration questions. Where else can your middle school basketball team get pre-season experience? Sign up today to get a jump start on your season! Includes a minimum of two games, an athletic trainer on-site, and Gatorade for all players and coaches! Questions? Contact Rocky Top Sports World at 865-325-0044 or info@rockytopsportsworld.com! Rocky Top Sports World presents the 2nd Annual Battle in the ‘Burg High School and Middle School Lacrosse Playday! Join us for high-level competition to prepare your team for the upcoming season AND the President’s Cup in Orlando…all while enjoying Gatlinburg and the beautiful Smoky Mountains. All teams will have the opportunity to also take advantage of special discounts and offers from our sponsors. We have also partnered with ‘Lace up with LAX’ to help provide NEW SHOES to our area children! Learn More Here! *Pre-order event t-shirts are available! Questions? Contact Andrew at andrew@rockytopsportsworld.com or 865-494-1841! Rumble at the Rock is the ‘Premier High School Basketball Play Day in the Smokies’ that YOU DON’T WANT TO MISS! Space is limited during this one-day event – register now to get a jump start on your season! Includes a minimum of two games, athletic trainer on-site, and Gatorade for all players and coaches! Questions? Contact us at 865-494-1841 or info@rockytopsportsworld.com! 2019 Thanksgiving Bowl Presented by: Rocky Top Sports World More information coming soon! Save the date! Our team is comprised of travel sports and events professionals who understand how important the details are. From initial contact through event clean up, we are ready to impress and look forward to hosting your most important tournaments and events.